It has been confirmed now that second edition of IPL would be played in South Africa. The decision was made after a meeting between IPL Commissioner, Lalit Modi and Cricket South Africa Chief Executive Gerald Majola at Johannesburg on Tuesday. England was not considered as the venue due to the inclement weather that prevails in the month of May during which England’s domestic season would be also be starting. There was a fear that 70% to 75% of IPL matches would be affected by rain and weather if England was chosen as the venue. Even though some of the franchisees preferred England as the venue, there was always an alternate available for IPL and that was South Africa. 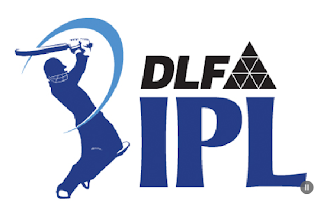 Further while shifting IPL out of India, it was promised that the first match of the day at 4.00 PM and the second match of the day would be at 8.00 PM, Indian Standard Time. IPL had assured the Indian viewing public that the prime time for watching the match on Television would not be compromised. This timing could be achieved more practically in South Africa than in England. The first match of the season will be played on 18th April 2009. Matches will be held in 6 cities - Johannesburg, Durban, East London, Centurion, Port Elizabeth and Cape Town, which will also hold the Opening Ceremony. There will be total six venues for the matches across South Africa.